ANSWER: Under normal conditions you will move back to retest the reversal that was elected. This is the one exception when there is a serious crash that does break the backbone of support. 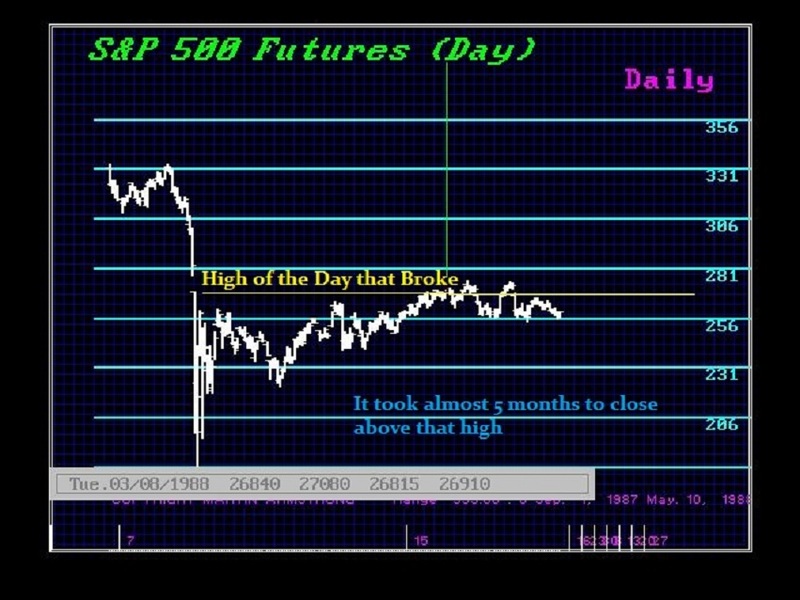 In the case of the 1987 Crash, it took 5 months to close simply back above the high of the day of the break. Yet there was no double bottom retest and that was the clue that new highs were on the horizon with the top of the ECM in 1989.95. In the case of gold, that high was 1495 on April 15th, the day before the low. There is no gap as there was for the 1987 Crash. Nonetheless, on May 3rd, June gold reached 1487.2. There is still a chance we will retest the old reversals. 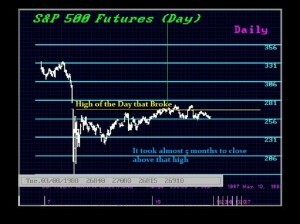 However, a daily closing on June below 1385 will signal that a break to new lows is likely. Gold has been crawling sideways between 1439 and 1487. The fact there was no bounce within 3 days back above 1495 warned this break must be taken seriously. In the Metals Report going out next week, here is an excerpt that is rather important to understand.